In a speech last week, Mark Carney, governor of the Bank of England, emphasised yet again: climate change is an economic problem. At the same time, he said, the transition to an environmentally sustainable future in the coming decades provides an annual opportunity worth trillions of dollars for companies and financiers. It felt as if he was speaking straight from the Accessible Clean Energy playbook. Climate change is a risk – but presents a huge opportunity. A shift of this magnitude, changing the entire basis of our economies from fossil fuels to clean energy, has a double effect of helping the planet while building long term growth and value. Being the Bank of England’s governor in these turbulent days after Brexit has got to be an interesting role. One of the biggest arguments in favour of the UK remaining part of the EU was to meet its climate change and carbon reduction commitments as part of the larger EU bloc. It will find it much harder to do this on its own, as climate change by definition is a multilateral problem that needs a multilateral solution. There are signs, though, that the new British Prime Minister, Theresa May, has been listening to Mr. Carney’s conflation of climate change and economic wisdom. One of her first actions as PM was to abolish the Department of Energy and Climate Change, one of the flagship policies of the Brown premiership and one of the first governments in the world to have a department with “climate change” in the title. A climate disaster, you may think – and in this you would be in good company. The move has been condemned as a step backwards for climate change efforts by former ministers, diplomats, and international green activist groups. However, Mrs. May has done something interesting – she has folded both energy and climate change responsibilities into a new expanded department of business headed by Greg Clark. This feels like a step towards Mr. Carney’s vision of climate change being something that needs to be addressed as part of the way we all do business, rather than something that is purely related to the environment, NGOs or voluntary groups. The choice of Mr. Clark to run the department is also telling. He’s the author of a number of influential policy papers on low-carbon business, and as long ago as 2009 was arguing that the Conservative party needed to use it’s pro-business credentials to tackle climate change more effectively. 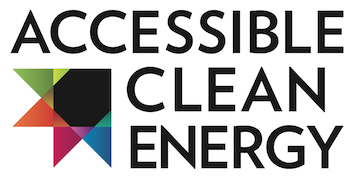 We at Accessible Clean Energy will be watching closely to see if Mr Clark uses his new-found powers in government to put his clean energy business ideas into practice. He’ll certainly find agreement at the Bank of England.